An event to mark the memory of eminent Azerbaijani composer Fikret Amirov will be held at the Heydar Aliyev Center in Baku. During the event on November 25, a book on the founder of the genre of symphonic Mugham will be unveiled and a concert dedicated to him will be held. 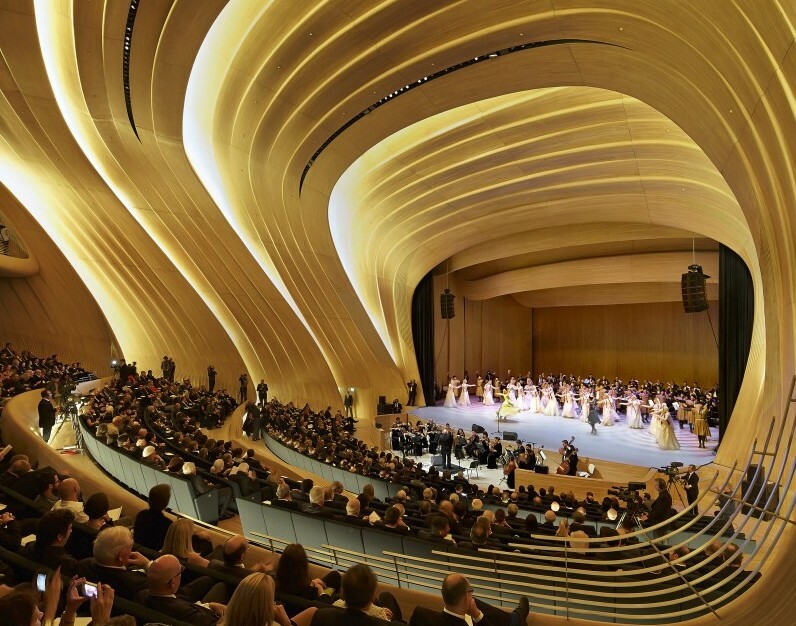 The project aimed at preservation, development and promotion of Azerbaijani culture, will be implemented by the Heydar Aliyev Foundation and the Heydar Aliyev Center. The book ‘Fikret Amirov’ was written based on the private archive of the composer. It includes CDs of his opera ‘Sevil’ and ballet ‘One Thousand and One Night’. The book traces the life and works of generation of musicians from Amirov family. It shows the history of immortal works of Fikret Amirov and his cultural environment which contributed to their creation. There are also opinions of well-known people, reviews, published in different years in the print media about the famous composer and his works. The guests of the evening will also have a chance to enjoy a concert program consisting of works of Fikret Amirov performed by the Azerbaijan State Chamber Orchestra named after Gara Garayev. The orchestra will be conducted by the artistic director, chief conductor, People's Artist of Azerbaijan, Teymur Goychayev. Fikret Amirov is an outstanding Azerbaijani composer, whose works spread positive energy and social and ethical ideals. Amirov’s symphonic Mughams ‘Shur’ and ‘Kurd Ovshary’ are unprecedented in the history of world music. The author developed the national symphonic style by creating symphonic Mugham that became significant not only for Azerbaijan’s music but also for the music of the world. Amirov created the first Azerbaijani lyrical-psychological opera on a contemporary theme. Moreover, he is the author of the first instrumental concert, and a fairytale ballet in Azerbaijan. The wide artistic interest of Amirov included operas, ballets, symphonies, symphonic poems, symphonic mugham, suites, capriccio, piano concertos, sonatas, musical comedies, songs, love songs, piano pieces, music for dramatic productions, and movies. His works revolve around social and ethical issues, disclose the spiritual world of the people and record their life in the past and present. Mankind’s inner world with all its joys and sorrows takes a special place in his works. The most outstanding works that made the musician well-known around the world are opera ‘Sevil’ as well as ballet ‘One Thousand and One Night’ created on the basis of oriental tales.